Ann went to art school, but abandoned her art career and didn’t paint or draw for over seven years while working a variety of jobs in tech, investing and disaster relief. An encounter with two stage IV breast cancer survivors finally made her realize that life is too short to avoid pursuing her dream. In late 2004 Ann moved to San Francisco to paint full time, and within one year she’d created a profitable business from her art. (So much for the “starving artist” myth.) A profile in Fortune Magazine refers to Ann as “the practical painter,” and Jonathan Fields writes about her blue ocean business strategy in his book, Career Renegade. As her art career flourished, other artists started asking Ann for coaching. She now has an artist business coaching and consulting practice and works one-on-one with a a select number of artists in all media across the globe. 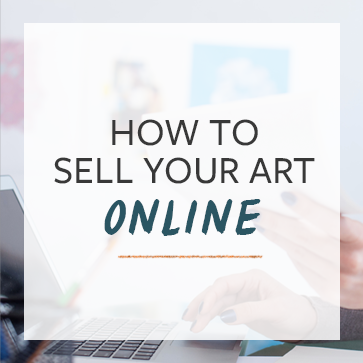 She started an online community, ArtistsWhoTHRIVE, in order to reach a broader audience and attract other thriving artists to possibly profile in a future book. We believe that we have shaped our artistic voice and that we have something to say. We believe we offer creative expression that adds value to the world and therefore the marketplace. We believe that we are creating and growing a business. We articulate our unique selling proposition to our defined market. We believe that we will not be discovered but our value can if we promote it. We believe that the traditional model of artist representation is too often broken so we represent ourselves using effective strategic marketing. We believe in getting a nice piece of the pie in the art market. We are confident and optimistic that we are in control of our destiny. Enjoy the interview, and leave a comment here, letting me know what you think! Click the link to play, or right-click to download.